European Union leaders have vowed to move forward with plans to screen migrants in northern Africa for asylum eligibility to dissuade many of them from setting out for the continent, part of a desperate attempt to shore up EU unity. European Union leaders vowed Thursday to move forward with plans to screen migrants in North Africa for asylum eligibility to try to stem the flow of those making the perilous journey to the continent by sea. It's part of a desperate attempt to shore up EU unity on an issue that has helped fuel a political crisis. No North African countries have agreed so far to sign on to the plan being presented at a two-day EU summit, though possible EU funding that could bring billions in aid may prove persuasive. Italy also held up any interim agreements at the summit, pending concrete commitments it would get help managing the waves of newcomers arriving from across the Mediterranean Sea. 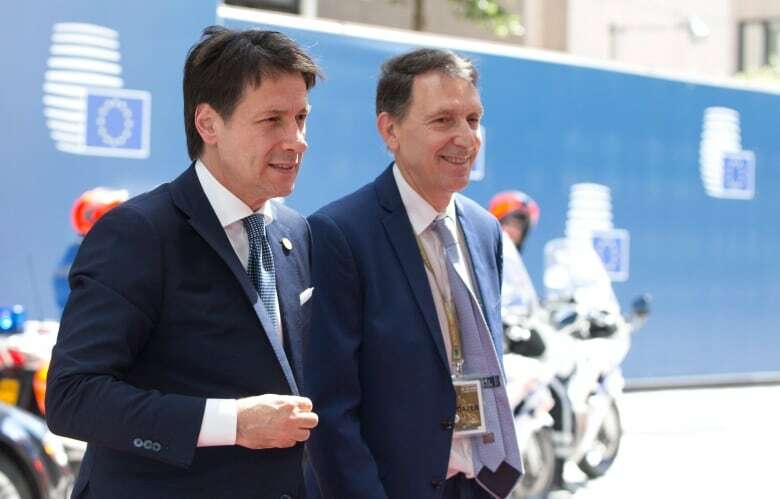 "Italy doesn't need any more verbal signs, but concrete deeds," Premier Giuseppe Conte said, insisting that the responsibility needed to be shared more equitably across the EU. Based on the success of an EU-Turkey deal that outsourced responsibility for refugees to the Turkish government in exchange for billions in refugee aid, EU leaders want to expand the idea with "regional disembarkation platforms" in Africa. The costly endeavours reflect the anxiety in Europe over migration, which is turning into a political crisis even though the number of people reaching Europe's shores this year has dropped substantially. A dispute over how Europe should manage migration has deepened since an anti-EU government with a strong anti-migrant streak assumed power in Italy this month. German Chancellor Angela Merkel's coalition government also is in turmoil over her welcoming policy on refugees fleeing conflict. Details are sketchy, but the proposed EU plan involves erecting a virtual wall in northern Africa by placing people who try to leave for Europe in centres in countries like Algeria, Egypt, Libya, Morocco, Niger and Tunisia. European Union funds would be used to persuade the countries to sign on, though none has signalled interest so far. Morocco's director of migration and border surveillance, Khalid Zerouali, told The Associated Press that the kingdom isn't interested in hosting a screening station for migrants, saying "that's not the solution." The lack of enthusiasm in Africa is not discouraging EU leaders. EU Council President Donald Tusk, who was chairing a two-day leaders' summit in Brussels, said partnering with countries outside the EU is the best approach. "The alternative to this solution would be a chaotically advancing closure of borders, also within the EU, as well as growing conflicts among EU member states," Tusk said. 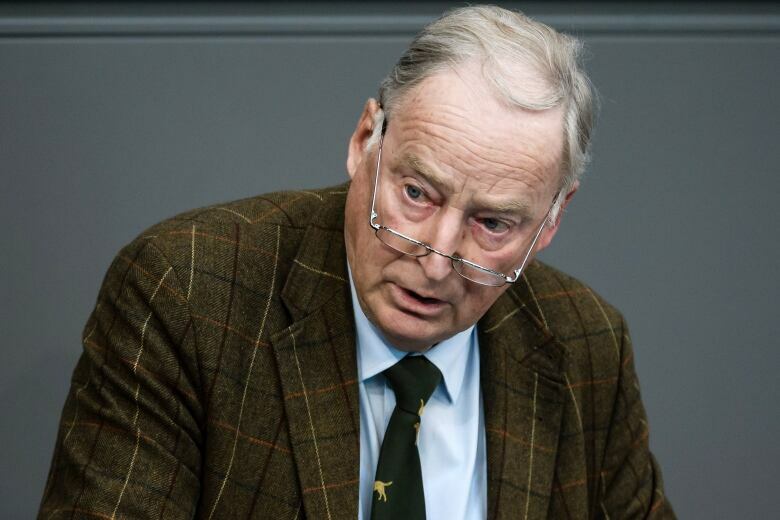 "Some may think I am too tough in my proposals on migration. But trust me: If we don't agree on them, then you will see some really tough proposals from some really tough guys." One of those "tough guys" is Hungarian Prime Minister Viktor Orban, who deployed troops to Hungary's border and erected a razor-wire fence to keep migrants out. "The invasion should be stopped, and to stop the invasion means to have [a] strong border," Orban told reporters Thursday. The International Organization for Migration estimates that around 80,000 people will enter Europe by sea this year, based on current trends. That's around half as many as in 2017. The party has seen a surge in support since 2015 — when well over one million people entered Europe, mostly fleeing conflicts in Syria and Iraq. Populist leaders in southern and eastern Europe have rejected Merkel's calls for a wholesale reform of Europe's migration system. 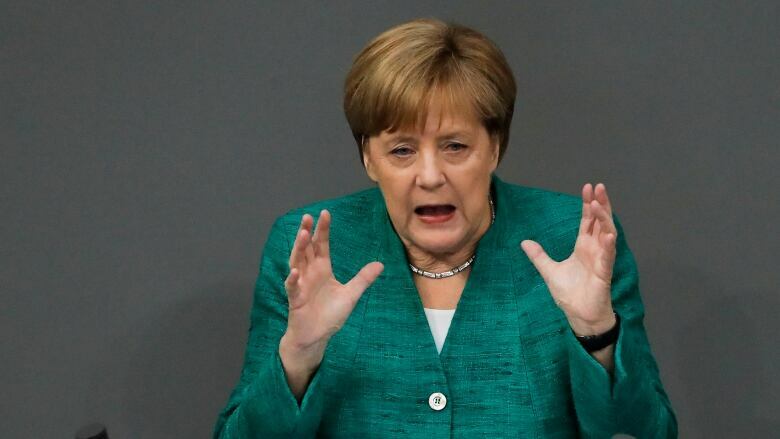 "Europe has many challenges, but that of migration could determine the fate of the European Union," Merkel told German lawmakers Thursday before heading to the summit. The partner in Merkel's coalition government is demanding that migrants be turned away at Germany's border with Austria. EU officials fear such a move would set off a domino effect, leading Austria to seal its border with Italy, and Italy to fully close its ports to migrants rescued at sea. "Being rescued in the Mediterranean must not automatically become a ticket to central Europe," said Kurz, another supporter of the Africa plan. Brussels wants the IOM and UN refugee agency to oversee their Africa plan, but they prefer to work inside the EU. As the summit got underway, screening continued in Malta of 234 people who spent nearly a week at sea on a humanitarian rescue vessel, to determine whether they are eligible for asylum and relocation to one of eight EU nations. Maltese Prime Minister Joseph Muscat opened the country's main port to the German-run ship Lifeline after other EU nations agreed to accept some of the rescued passengers. He said those deemed "economic migrants" will be sent back to where they came from. Maltese officials seized the ship, citing irregularities in the sea rescue. The captain is under investigation, and Malta has closed its ports again to all humanitarian rescue ships while that investigation unfolds. The Maltese government said Thursday that no privately run aid ships may enter or leave its ports until it determines whether aid groups are operating according to national and international law.